The sole difference between a successful app and the one that fails boils down to the amount of value that they offer to the users. Greater the value users derive from the app, greater is its stickiness. In the race of offering maximum value to the users, a number of brands have moved to integration of embedded analytics in their mobile application. A strategy that seems to be working for a number of businesses, across industries. And the reason behind this success is the heavy inclusion and working around with data. Data is the one element that is present and every user seeks in one way or the other, the second they connect their device or application to the internet. It is by giving users the power of data and analysis, brands are able to place themselves as high value offering businesses, those whose association would only benefit the users. Let us look into this new wave of app stickiness called Embedded Analytics, in greater detail. It is the merger of analytic capabilities and content in enterprise process applications. 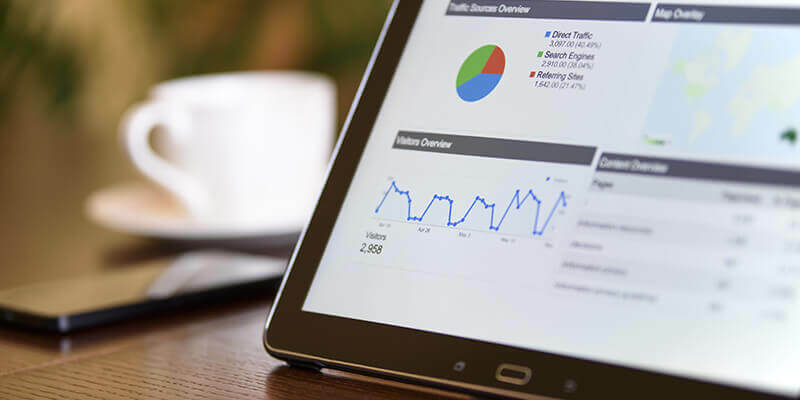 Through embedded analytics, brands provide analytical tools and relevant information that are designed for specific tasks at hand to help the users work smarter and with greater efficiency within the mobile applications they work around every day. 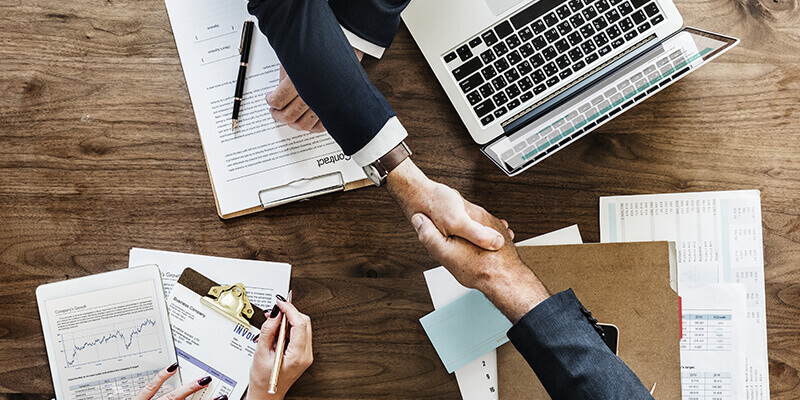 There are a number of benefits that come associated with the integration of Embedded Analytics, let us peruse them before moving to how they improve business strategy and drive revenue for your application. Embedding analytics in mobile application provides end users insights. Now-a-days, users want their apps to enable them to take better decisions and work smarter. When an app offers valuable analysis, users make them stickier, and a useful component of their everyday work life. In B2B market: A task handling app help the end user analyze how they are spending their time in the office. With the help of embedded visualizations, the embedded analytics app offer understanding into how they can utilize their work time better. For example, through a simple chart inside the app, they can find out that they have been spending more than twice of their office time going through unproductive meetings. In consumer market: A fitness app which inform someone of how many calories they have burned helps users plan their activities better. As the amount of collected data increases, the amount of app stickiness also increases. Users over time become less prone to switching to another fitness app as yours have information that is being collected for some time, an information that is useful for them. In your business applications: The integrated dashboard which pulls in information from your CRM and ERP systems provides users with the information that they need to take quick decisions, without taking the efforts to indulge in multiple clicks. By providing teams with business intelligence analysis, you can help them informed, timely business decisions. Today’s app businesses are continuously competing in a million similar category apps’ market. With this massive amount of availability, the end users end up having little to no patience for the apps that gives them zero value. By giving the users real, lasting value through the embedded analytics, businesses are able to differentiate their app from rest of the many no value offering apps. 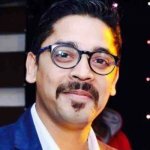 Secure environment, effective user experience – When we talk about analytics and data, a number of users have become habitual to relying on exclusive tools that are designed for concentrated business processes like the HR or CRM , or are dependent only on the applications, which just focus on analytics. With the help of embedded analytics, the analysis and reporting functions happen in the known and trusted setup of primary business applications. Analytics, which can be seen as intimidating for the everyday users, when embedded in the ecosystem of an application help users understand them with greater ease, thus boosting their confidence in taking data driven decisions. Embedded analytics help create a seamless experience between the generation and the analysis of the crucial business data. Greater Value of Invested time – It builds on the value that your current business application might be offering and brings a jump in the time that your users would be spending in your app. Selecting the right application developers, who can seamlessly integrate embedded analytics in your app help promote a highly data-driven culture, while helping your team become more productive and efficient. Makes BI omnipresent – For a number of organizations, BI is one platform or which is either managed by company’s IT department or is used by the management to plan and float business strategies. It is seen as that management-level function which seeps down through the company hierarchy a series of reports attached with actionable items. Embedded analytics helps break down the walls to data, thus making BI omnipresent and getting the analysis and reporting parts of the business in the hand of everyone who uses that application. Instead of looking up to the IT team for a follow up on the view report request, users are able to get involved with the analysis process. Now that the analysis and data is accessible to everyone across the team, the decision making time reduces significantly. Data-driven work culture – If there is one thing that organizations want, it is to make their employees capable of using data to then make critical decisions. Through embedded analytics, companies make data a crucial part of the processes and workflow teams are working around everyday. Embedded analytics takes business intelligence to greater range of departments and business applications, while promoting commitment towards data and analysis, thus giving birth to a data-driven work culture. Better Business Planning – It mixes analytics with business processes to power up users with informations that they need to handle the changing business environment. With your employees using the main business application boosted with analytics abilities, they will now react to opportunities and threats quicker while feeling confident in making informed business decisions. Embedded analytics provides the ability to build reports and charts so that they can actively participate in business performance discussion, any time. The various benefits that embedded analytics offer across businesses has led to an increase in its demand, to a huge extent. The rising demand for Embedded Analytics has prompted a number of mobile app development companies to build apps that bring the power of analytics into users’ hands. In a competitive scenario such as this, how do you ensure that your application’s analytics stand out, so much so that it earns revenue for you? B. They should follow the branding guidelines that the rest of the app is following. Everything, straight from the color, icon, and the overlook and feel should be similar to what it is followed in the app. The embedded analytics that you have in your app should allow users to take some actions, instead of simply the View option, as commonly seen in analytics apps. Majority of the apps work as a one-way street, they give out information to the users to view and analyze but they don’t give them the freedom to even share the analytics with their colleagues. Sharing the analytics is not the only way to set your app apart, by giving your users the access to edit and update the analytics on the application you can help them take action without leaving the platform. To set yourself apart, it is important that you include actionable items in the app workflow. There are a number of embedded analytics applications that ask for a different login credential every time users wish to use the coveted analytics section. In your app, aim for reducing the number of login points by allowing one-time sign-in and multi-tenancy features. It will not just make it less cumbersome for the users, but the developers would also not have to integrate security level multiple times in the app. Either one of these two situations happens when your users come to you for including a new dashboard according to some process they have recently started following in their team – Either the developers would have to change the core app functionality or they could refuse leaving a whole group of users dissatisfied. By allowing users to customize the app as per their needs, the total number of total ad hoc analytics requests that your technology team receives reduces to a huge extent. The self-service analysis also gives you valuable insight about your customers, giving you an insight into the kind of reports and dashboard you should move next to fulfill the next set of customer needs. Now that you have the understanding of how embedded analytics application benefits business processes and how you can drive it for generating revenue for your business, it is time to look into ways you can implement it in your application, for getting maximum output, with the help of one of the Top Android and iOS App Development Companies. When you plan on integrating analytical capabilities in your mobile app, it is very easy to get carried away and miss out on the core problem and the set of users you visioned to help. But, before you even think about building solutions for a range of different teams, stop. Start small. Begin working on the solution for one user, one problem, and one report. Collect feedback and then move forward to the next user, their problem, and the report to solve that problem. Also, soon you will realize that as one problem get solved, users would require something else, so it’s best to follow Agile methodology for embedding analytics in the mobile application. Keep external and internal stakeholders in your Agile loop. Keep taking continuous feedback from them as you develop the specific analytics features in your mobile application. Employ screen mockups since the very start of the process and keep reviewing them with your current customers to get validation for your process. Ask your stakeholders what they liked in the application, what they disliked how would they use it, and if they have any suggestions to improve the product. Doing it will keep you focused on resolving real problems with the help of embedded analytics, and would make the users, app’s advocates as the solution becomes available for mass use. As the users work around your embedded analytics solution, sit with them to learn how they are using the application and what issues they are facing, to identify the gaps. Look out for the issues that are bothering your users while they are inside the application and then let them find a solution, irrespective of how much time it would take, to know the route users would follow when they hit a wall within your app. At every stage, ask questions that would get you maximum feedback. Push your users to rate the application’s features so that you have the priority workable item list ready with you. So here was everything that you need to get started with embedded analytics integration in your mobile application. To understand the concept in greater detail, contact our team of experts.